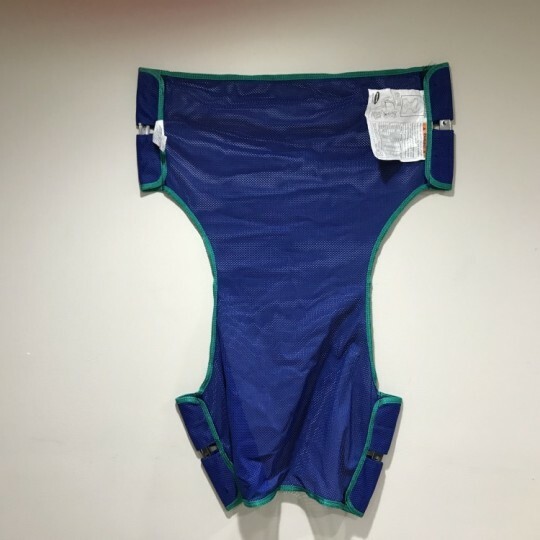 Invacare is another one of the major brands that Open Box Medical carries. We have a vast variety of used Invacare products, such as used our top selling used Invacare beds. 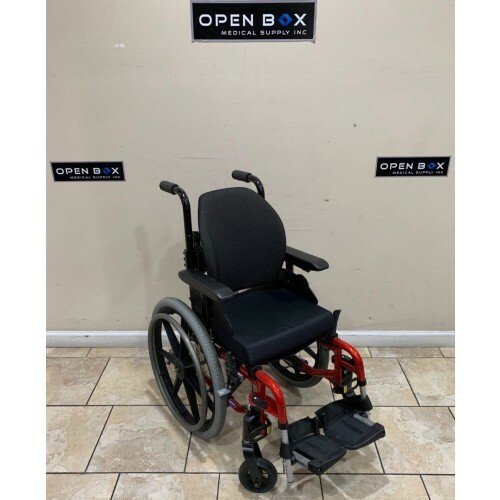 Open Box Medical also carries used Invacare wheelchairs, both manual and electric. With our affordable prices, it will be hard to beat our discounts. 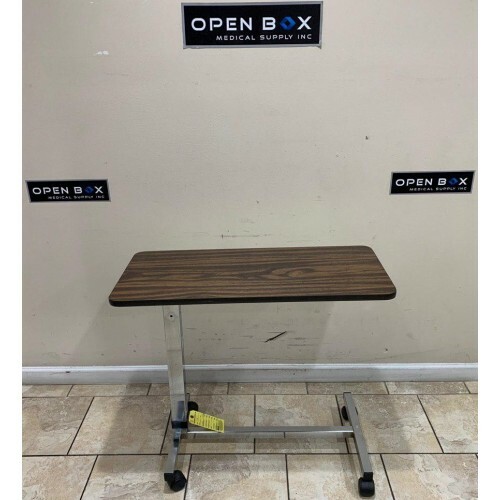 This is pre-owned Invacare Overbed Table in Great Condition. The height can be adjusted between 28"-40". 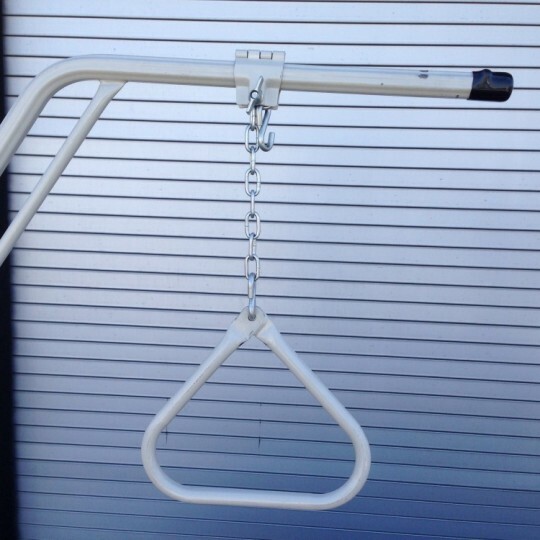 Pre-Owned Invacare Offset Trapeze Bar in Great Condition. The Invacare Offset Trapeze Bar helps the user during transfers, re-positioning, and also provides a great opportunity to get some physical exercise. This Trapeze Bar is constructed from Heavy-Gauge Octagon-Steel and requires no tools for setup. 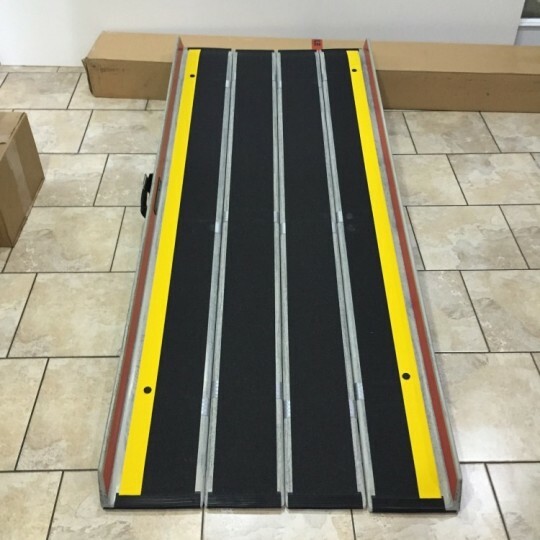 This Fiberglass Portable Ramp is Brand-New in Box, Never Used. This Portable Fiberglass Wheelchair Ramp is equipped with a non-slip surface, weighs only 26 lbs, & works great for rises of up to 16". 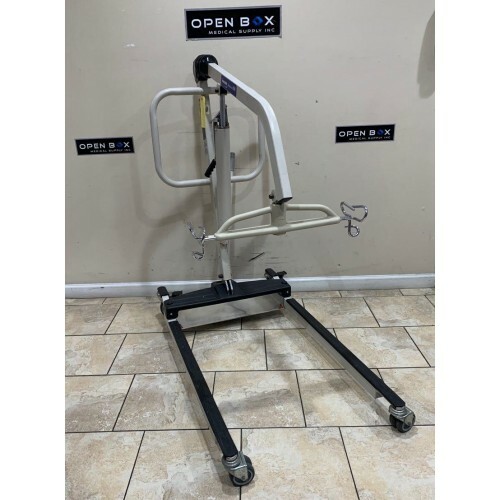 This Portable Wheelchair Ramp has a 660 lb weight capacity, and has the following dimension (L x W): 65"x29"
This is used Invacare Reliant 450 Manual Patient Lift in good condition. 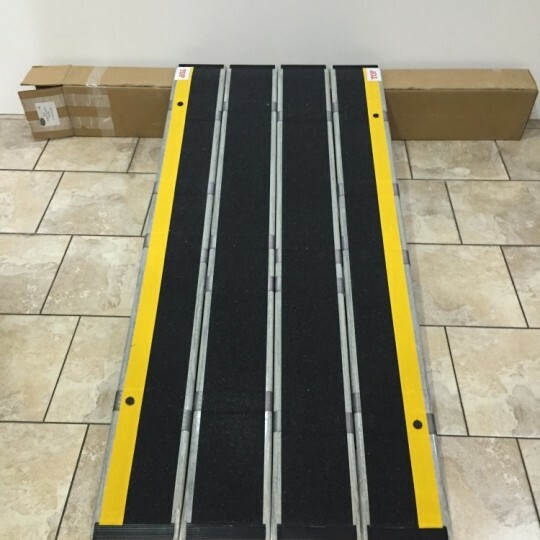 Invacare's Manual Patient Lifter provides efficient transfers between surfaces and safe patient lifting from the floor in case of falls. 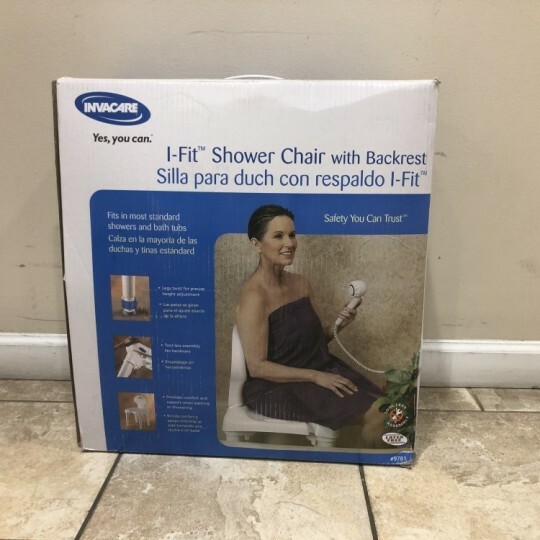 Quickly move patient from bed to wheelchair, wheelchair to easy chair, wheelchair to commode, or any other surface. Brand New Fiberglass Portable Wheelchair Ramp In-Box, Never Used. This Fiberglass Portable Wheelchair Ramp has a textured Non-Slip surface, Weighs only 37 lbs, and can be safely used for rises of up to 20". 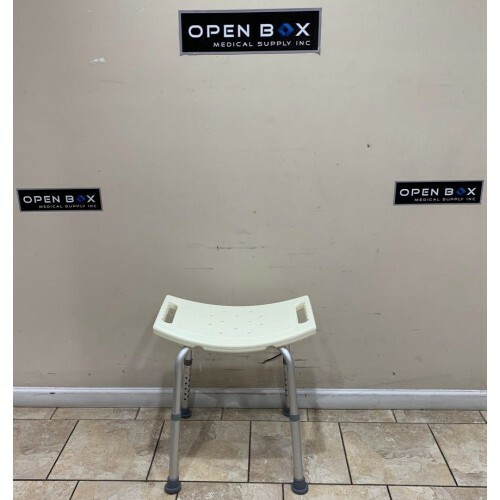 This Portable Wheelchair Ramp has a weight capacity of up to 660 lbs, and has the following dimensions ( L x W): 78"x30"
Full-Electric Hospital Bed Package from Invacare in Great Condition. This Hospital Bed is fully adjustable with electric controls. Very Easy to clean & maintain. 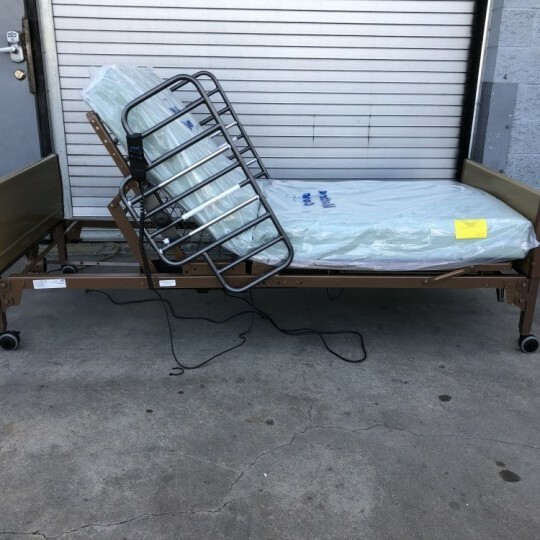 Comes with your choice of FREE half rails or full rails & a standard foam mattress! This Pre-Owned XCL Top End Excelerator from Invacare is in Great Condition. 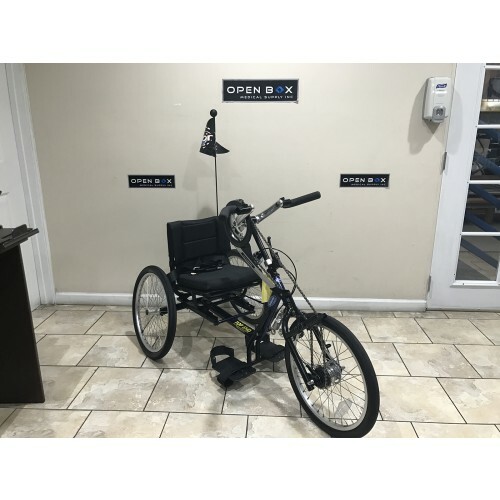 This Handcycle has a seat that can be slid forward or backwards to adjust seating position, and the crankset height can also be adjusted to the most comfortable setting for you. Comes with 20" Wheels with 9 degrees of camber. 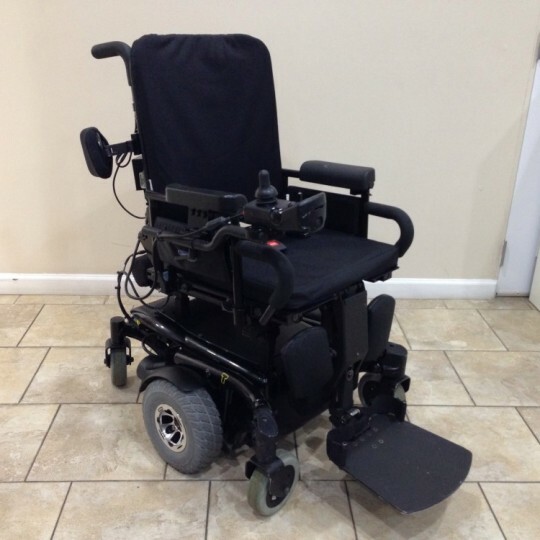 Pre-Owned TDX SP Power Wheelchair from Invacare in Great Condition. Minor cosmetic wear & blemishes. This Powerchair comes fully loaded with comfort features such as Power Tilt, Power Recline, & Power Elevating Legrest. This TDX SP Powerchair is capable of traveling up to 20 miles on just a single charge! 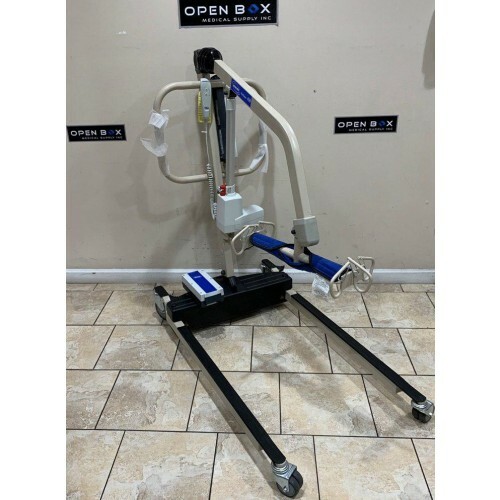 Pre-Owned Invacare Reliant 450 Battery Powered Patient Lift in Like New Condition. The High Lift range of this patient lift allows easy access to wheelchairs, commodes, beds & floors. The batteries are easy to remove & recharge, and the patient lift has a lifting weight capacity of 450 lbs. This is pre-owned Invacare TDX SR Rehab Power Wheelchair in Great Condition. The TDX SR offers the benefits of the Gearles Brushless TrueTrack Motors. True Track allows the chair to maintain its true forward path keeping the chair tracking straight. This TDX SR comes with Power Tilt, Power Recline, Power Elevatin Legrsets. 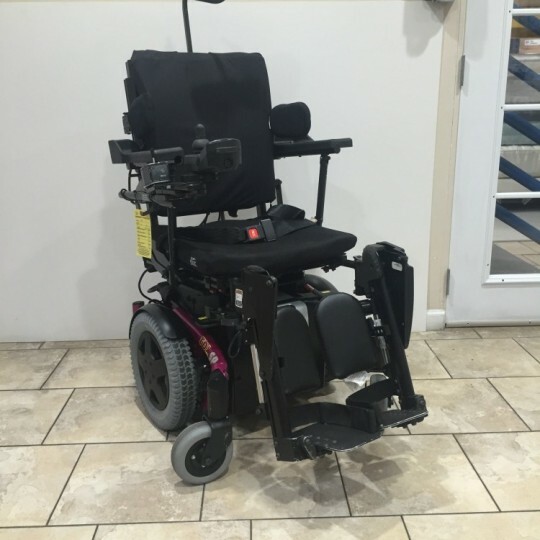 Pre-Owned TDX SC Powerchair from Invacare in Great Condition. This TDX SC Powerchair is designed to provide maximum comfort & stability for the daily user. Comes equipped with Power Tilt, Power Legrests, Adjustable Armrests & Side Lateral Support. 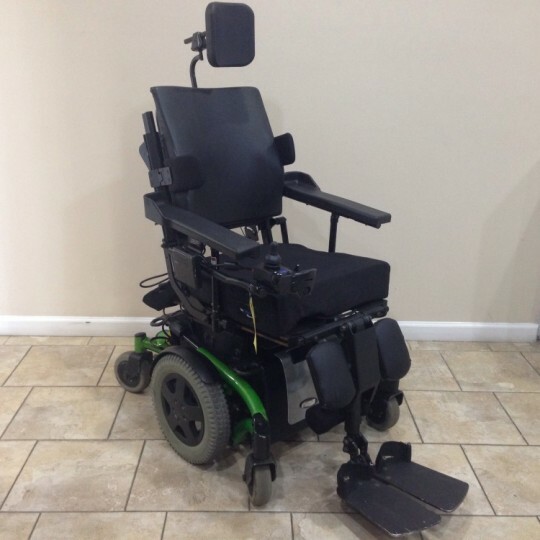 Pre-Owned TDX SP Power Wheelchair from Invacare in Great Condition. 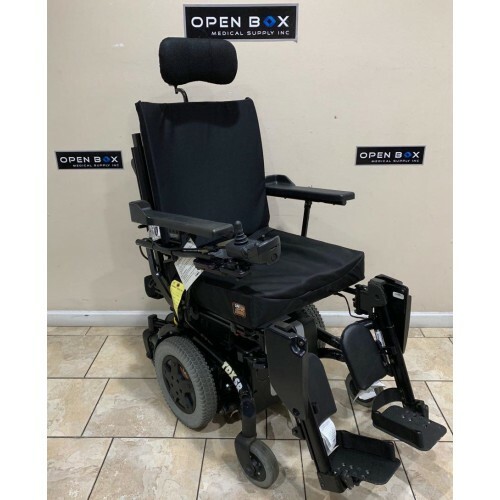 This Power Wheelchair is one of the most comfortable options available for users with long-term mobility limitations. This Power Chair comes fully equipped with Power Recline, Power Tilt & Elevating Legrests. The TDX SP Power Wheelchair is capable of traveling up to 18.4 miles on a single charge!